There is such strange weather this season! We have had some clouds and sometimes a few drops of rain in the mornings which is unusual, but when it gets to about nine o’clock all the clouds get burnt off. I was with a family of six on a morning drive. Our drive started with a Civet and the big breeding herd of Buffalo at the Tamlyn’s plain. Then I went to Salum’s road where we saw one Lioness sitting under a tree and her cub was on the fallen dead tree. As we were watching them suddenly we heard a distress call from a Zebra and Lioness ran towards where the sound came from. We were so excited and we rushed there quickly. When we got there we saw two Lionesses killing a Zebra. 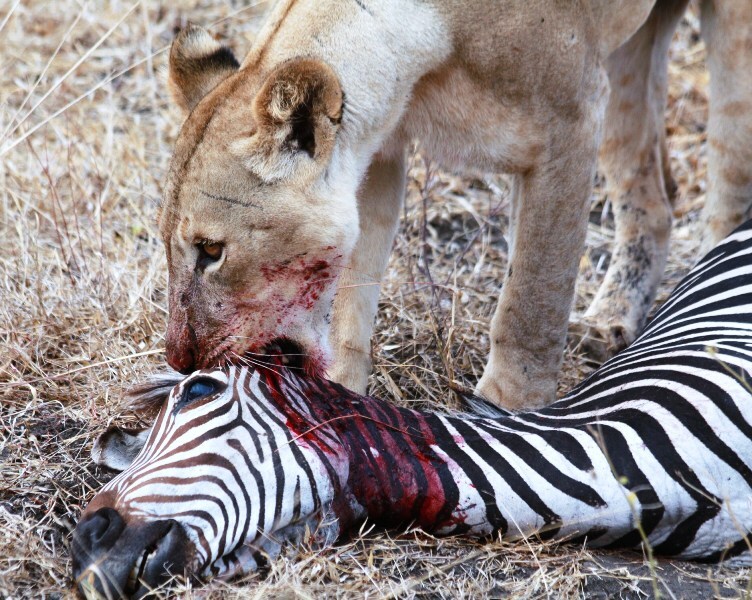 It was my first time in the Selous to see Lion killing Zebra. After finishing the killing we watched them opening the kill and eating the internal organs. After that one lioness dragged it to the shade and another Lioness protected the stomach contents. Then they started to call the cubs. When the cubs came they greeted the Lionesses and started eating. We watched them eating for a long time before we carried on. 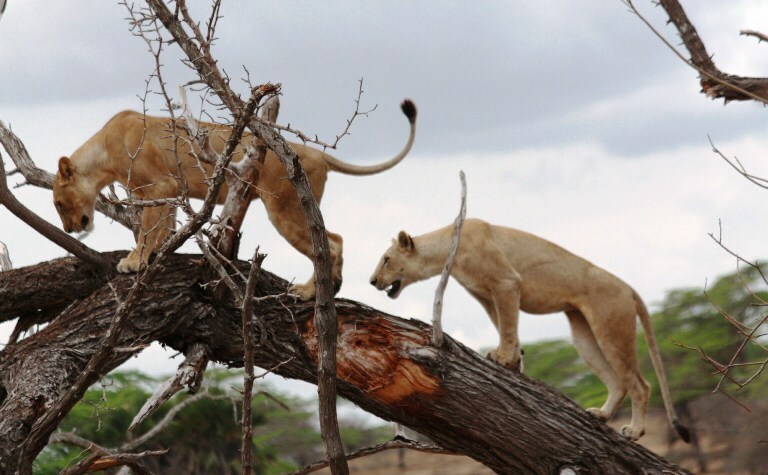 We saw a lot of other animals before we saw another pride of five Lionesses which were also active because we saw them walking and then two lionesses climbed the tree. It was to get the view of the prey. When they climbed down they started playing and after a few minutes they started stalking a Giraffe. Unfortunately the Giraffe saw them and ran off. Just after the Lionesses we saw an Elephant in the middle of the lake swimming. When he got the shallow water he started wallowing. It was such a nice show. Finally we saw the Hyena’s den at the Baobab tree with two females and two cubs of different ages. One was like four months old and the small one which was in the hole was still black in colour. I would say about one and half months old. 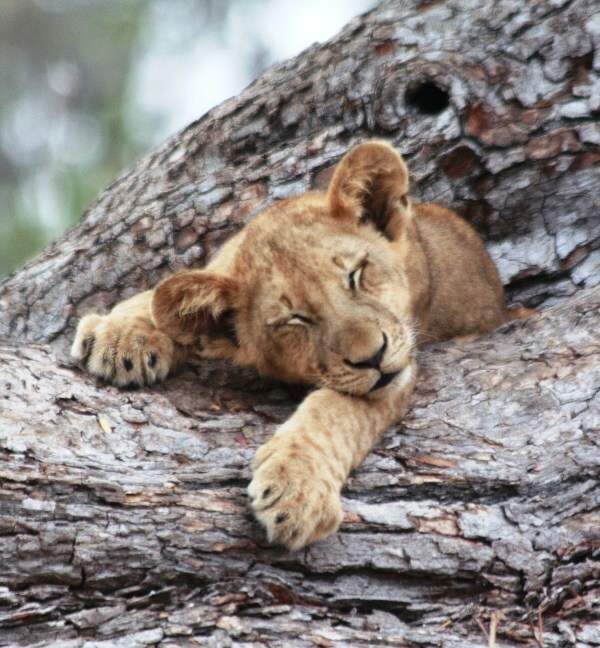 This entry was posted in Salum, Wildlife and tagged Beho Beho, camp, elephant, giraffe, hyena, lions, safari, salum, selous. Bookmark the permalink.